Ok, and…we’re off! | Now What? So I have this list of 52 things that I hope to make habits a week at a time, and at the end of the year my eating faults will be magically cured. As I look over the list, I see that Item 1 is: “stop weighing myself”. 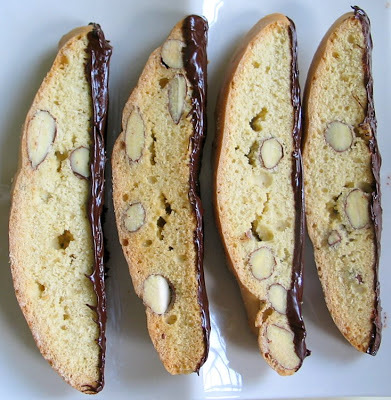 Heck, I did that several months ago when I first thought about doing this blog, and I don’t need the scale to tell me that I ate 6 large, chocolate dipped biscotti on top of a full day’s food yesterday. The biscotti were delicious, and they accompanied my acrostic nicely. But eating that many left me with this “full dry” feeling in my stomach (which I ignored), and heartburn (for which I had to take drugs). The ultimate goal is to un-link eating from doing other things, particularly puzzles and Netflix. (Oh, to have that “mindful eating” thing!) Unfortunately, “mindful” to me feels kind of like “boring”. I’m not against it, “mind” you, it’s just not my personality. Some habits are better changed a little at a time, some are better stopped all at once. Smoking is allegedly recommended as an “all at once” stop, yet using the patch is a way many smokers use to taper off and then quit. Some alcoholics go the total abstinence AA way, and some successfully use the “moderate” approach. I think which works depends on the individual and the depth of the addiction. I can substitute similar but less harmful behaviors, or try making a radical change. The key is to develop alternate resting/soothing behaviors that are rewarding. (Come on, endorphins, I can’t dance ALL the time!) I don’t think I can take the radical approach, because it become all or nothing, and it’s too easy to say: “OK, nothing” and dive into the “XXL” bag of peanut M&M’s (available at a Costco near you). Make sure there are fresh, washed, cut up ready to go fruits and veggies available at all times. Thanks for being there, oh mysterious Internet ghosts! < Previous Fresh start. And again. And again. And again. And again. Next > Ok, Week 2! Thanks! A specific writing compliment from someone of your stature means a lot to me!